Oh my goodness, it is HOT here. Normally temps are comfortable this time of year, but we are having the most unbearable heatwave. I just went outside (it's almost 8pm), and it is still oppressive. Temps reached over 100F this afternoon and Google tells me it is currently 91F outside. This is my September artist trading card for my swap group, made with ink pens and colored pencils. It was fun to doodle. I got the idea for my ATC from this book Cory gave me for my birthday, Scribbles. 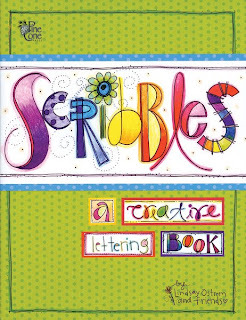 It is written by her friend Lindsay Ostrom and is chock full of cute ideas for creative lettering. 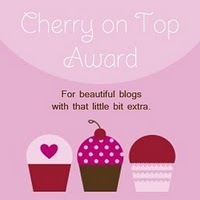 Speaking of Cory, she kindly awarded me this Cherry On Top award. Thanks friend! I'm supposed to answer the question, "If you could go back and change one thing in your life, what would it be?" My answer is, I would like to instill a greater sense of confidence in my younger self and not worry so much about things beyond my control. PS~i like you answer to the question. 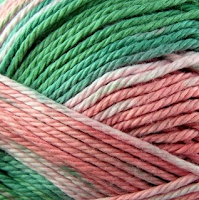 Very, very pretty yarn. It will be a great post. I try to knit every night, too. I figure it's cheaper and more convenient than therapy! I love the way you answered the question. I've been thinking a lot about that issue: How do I help my own kids have more faith in themselves? It's a hard one. Have a blessed day my friend and stay cool! HUGS! We had such a hot summer and two more 90+ days last week. Then a shift change to the 50s! Since then we haven't seen the sun - it's made me miserable. The yarn is lovely. And that book - I think I will have to add that to Annie's gift list - it looks very fun! Congrats on your award! I use to doodle all the time. I should try to make time for that again. I'd wear that scarf even in this heat! I heard about the heat you are haiving. I hope it starts to cool off for you all soon! Your ATC is very cute. 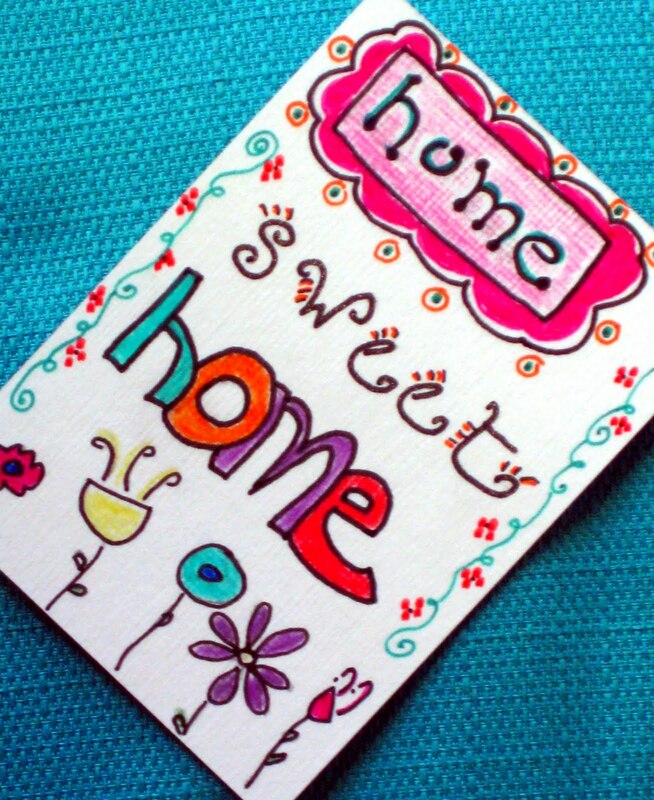 I like the simpleness of it. wowie wow wow.... thanks for posting my book on your blog. and thanks to cory for passing it along. I love what you did with your ATC... i would draw a happy face on your paper if i was there to do it! Glad you are having fun with it.... oh, and you can get the book from me too on the blog at www.lindsayostrom.blogspot.com too. Ok, well, keep up the doodling!!! Love your 'scribbles' ATC! And that yarn is wonderful!!! Hope you enjoyed knitting with it and de=stressing.